Through its projects, First Gen hopes to alter the energy consumption of Filipinos and their businesses. As more and more businesses are becoming aware of the environmental impact their energy demands generate, renewable energy sources are slowly becoming the norm. 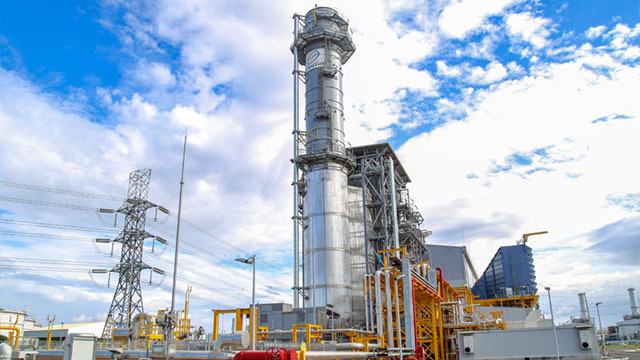 Power generation company First Gen, however, believes that a full transition to renewable energy needs help from other reliable clean energy sources, particularly natural gas. Natural gas, a naturally occurring resource made up of decomposed plant and animal matter, is widely recognized as the cleanest-burning of all fossil fuels, generating up to 60 percent less carbon dioxide, up to 80 percent less nitrous oxide, and up to 100 percent less sulfur dioxide versus coal. It also produces virtually zero ash and sludge, which could prove toxic to people and the surrounding environment. 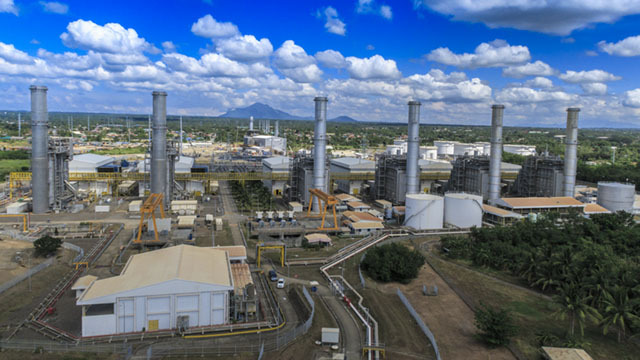 For the past years, First Gen has generated much of its electricity from natural gas, and its four gas plants contribute a large portion of the energy distributed by Meralco. In 2018, First Gen's plants generated approximately 13,000 gigawatt-hours worth of electricity, which is enough to power close to 5.5 million average households for an entire year. Yet despite the impressive amount of energy natural gas can supply, First Gen believes it could do more, and act as a bridge towards a more sustainable future. Renewable forms of energy such as solar and wind power have become more affordable, but with certain limitations. Weather conditions can affect the amount of electricity that can be supplied to end users. Theoretically, one can offset lost energy by using batteries to power households and businesses in these situations, but battery storage is not economical at the moment. 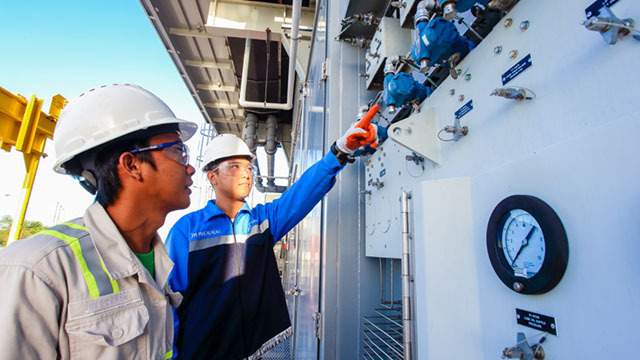 First Gen Business Development Manager Marco Ordoñez explains how natural gas can be utilized as an effective source of energy in challenging situations. "At times when there's not enough sunlight or not enough wind, you can quickly turn on a gas plant to provide electricity when it's needed," says Ordoñez. "It makes up for the lost load and keeps the lights on. When the solar [source] picks up a bit, then you can ramp down the gas plants because of its flexibility." 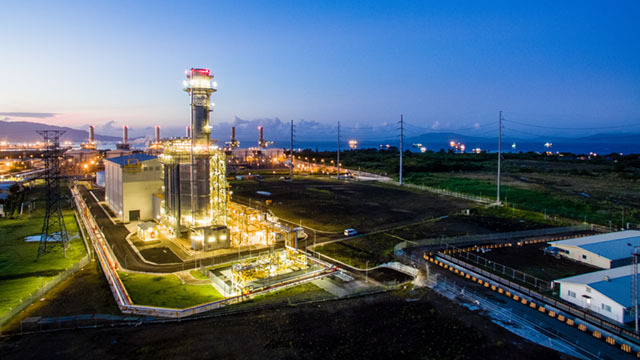 "Flexibility" in this sense refers in part to how quickly First Gen's natural gas plants can power up or down, compared to traditional fossil fuel plants. While it can take up to 11 hours for a coal-powered plant to fully power up, some natural gas plants can do it in approximately 15 minutes. Most businesses can't wait 11 hours for electricity, making natural gas an ideal alternative for companies looking for reliability in their power supply. Completely shifting to clean and renewable energy as a nation is a goal—but is it even doable? Ordoñez says, "We do have these ambitions of eventually becoming 100 percent dependent on renewable energy. For us, it's a question of when it's going to happen, not if." When that day comes, First Gen expects to continue being a significant source of the country's energy supply. Alongside its natural gas and hydroelectric assets, the company also has interests in solar, wind, and geothermal energy. We may already be reaping the benefits of using natural gas as end users, but we have no hand in choosing the energy source we prefer to utilize. Hopefully, business owners could proactively make that choice in the near future. Two of First Gen's subsidiaries and affiliates, First Gen Energy Solutions and Bac-Man Geothermal, Inc., have retail electricity supplier licenses that, in a nutshell, allow them to sell energy directly to their end users. Having the liberty to choose one's power source doesn't just mitigate the environmental footprint; it also allows businesses to get the best possible rates on energy, which has a significant impact on overhead expenses. According to Ordoñez, experts estimate that a 100 percent transition to affordable, emission-free renewable energy could happen within the next few decades. First Gen aims to be a part of that shift every step of the way, starting with natural gas. "We just want to make sure we get there," he says. "We believe that gas will be there for the transition long enough." To learn more about how natural gas can work for your business, visit this website. This article was created by Summit StoryLabs in partnership with FIRST GEN.